Increasingly, cheese producers – or cutters and packers – are looking to reduce costs in an ever more competitive market. What are the key target areas? Principally , we are talking about yield, giveaway, increased quality of cut product, output and less labour utilisation. Here at Newtech, we have addressed all these issues with our machine build for a leading West Country cheese producer. We have combined the power of ultrasonic cutting, advanced automation and robotic technology to provide a comprehensive cutting and picking system. At the heart of the solution is Newtech’s autoSONIC-Inline S ultrasonic stick cutting machine, which accepts wire cut sticks from the customer’s existing equipment and ultrasonically portions them to produce multiple mini-portions per cut. A special portion separator is then used to present the cut portions to a robotic pick and place system; this features an ABB Flexpicker 360 unit, equipped with a vacuum picking head and operating in conjunction with the ABB Pickmaster vision system. 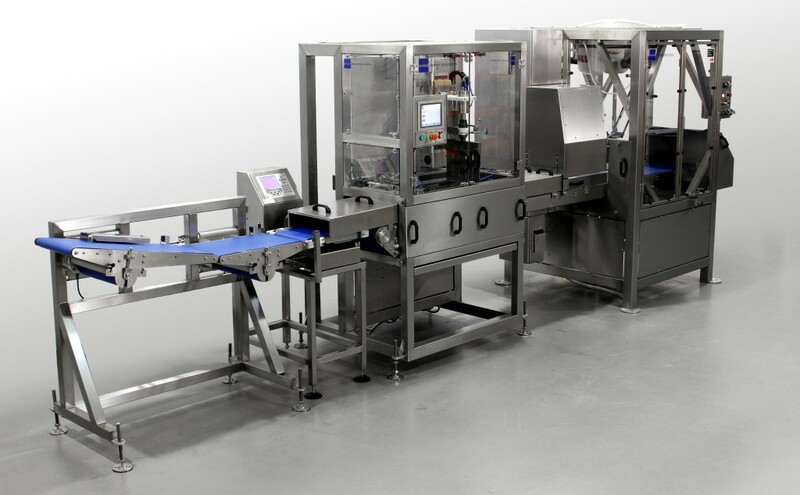 The robot makes light work of identifying and then picking the portions – placing them onto the infeed to the customer’s existing flow wrapping machine. The cutting and picking solution means that manual handling of input cheese sticks and output mini portions is kept to a minimum, whilst at the same time guaranteeing excellent cut quality, giveaway and yield. The system can be configured to cut standard sticks and slices, and the robot pick and place is easily adapted to new cutting requirements. As you’d expect with all Newtech systems – standard or customised – flexibility and future proofing is key. Interested in finding out how we could improve your cheese cutting process? Call us on 01234 783680 or contact sales@newtech-ltd.co.uk.